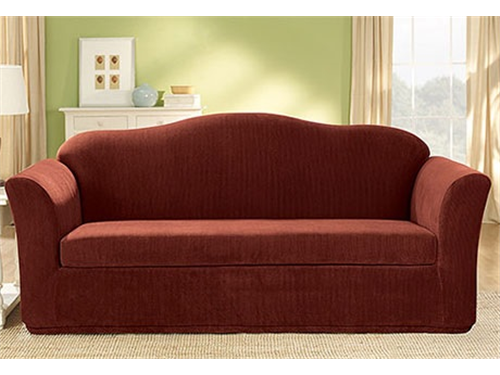 Sure Fit Stretch Corduroy Separate Seat Slipcover. Available styles: Chair (2200 units) or Loveseat (800 units). Color: Oar. The look and feel of corduroy with memory stretch fabric. Fiber content: 94% polyester, 6% spandex. Retail-ready Packaging: poly vinyl bag with insert.